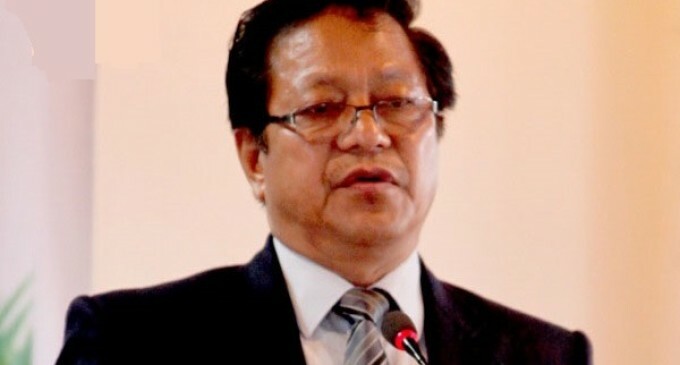 Despite huge cries from the opposition parties demanding resignation of Mizoram PWD Minister Lal Thanzara over the collapse of a bailey bridge that killed one person from Sesawng village, the minister calmly said he has accepted the moral responsibility but would not resign since the people who elected him have not demanded his resignation. Speaking at a political session of the party at the Congress Bhavan, Lal Thanzara said he has accepted the moral responsibility and was saddened by the fatality and collapse of the bridge. “My condolences are with the family; I am deeply saddened by the unfortunate mishap. I have expressed my willingness to resign from my post to the Chief Minister Lal Thanhawla and the Home Minister R Lalzirliana, but since the two top leaders of our party felt it unnecessary, just because the of the opposition parties demand, I will not quit my office,” Lal Thanzara said. A bailey bridge across river Tuirini between Sesawng town and Khawruhlian collapsed on Tuesday in which one HC Lalfakzuala, a resident of Sesawng Venglai, died on the spot and several persons were injured. The bridge near Sesawng village, about 40 km from the State capital, Aizawl, is being constructed by the State’s Public Works Department. The construction work began sometime early January this year. Though not yet completed, the main structural works having been already erected, the residents use this bridge to cross the river. Majority of river crossings along the highways in Mizoram are bailey bridges, most of them were built by the Border Roads Task Force in the early seventies. At least four major bridge collapse incidents have taken place in the past five years in Mizoram causing several casualties. All the opposition parties in Mizoram stated that the minister in-charge taking moral responsibility should resign as the minister.